Injured in an Ohio Highway Accident? In just seconds, a reckless driver can cause a highway accident which results in numerous lost and ruined lives. In Toledo, serious highway accidents involving cars, large trucks, and motorcycles occur on an almost-daily basis, especially in downtown Toledo and on major highways, including I-475. In many cases, victims of Toledo highway accidents face months or years of recovery, during which they will accumulate enormous medical bills and lost wages, and endure tremendous pain and suffering. The Toledo highway accident attorneys at The Boerst Law Office believe no one should ever have to suffer physically, financially, or emotionally because of another party’s negligence. That’s why all of the highway accident lawyers in our Toledo office are so committed to achieving justice for the people in our community who have been injured in serious highway crashes. For many years, the highway accident lawyers at The Boerst Law Office have worked to protect the rights of personal injury victims in Toledo and throughout Ohio. 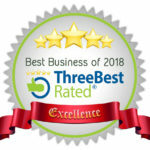 When you choose to retain one of our experienced and aggressive Toledo highway accident lawyers, you can rest assured that you will have a tough advocate on your side who you can trust to fight on your behalf in and out of the courtroom. 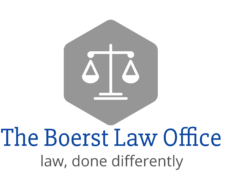 To speak with one of our experienced highway accident attorneys about the legal options open to you, we urge to contact The Boerst Law Office today. 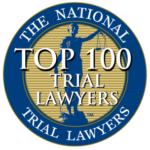 Highway accidents often leave innocent people with severe injuries that will affect the rest of their lives. Broken bones, head injuries, spinal cord damage, amputations, and severe damage to internal organs are some of the life-changing injuries that typically occur as a result of serious accidents on Toledo’s roads and highways. Far too often, Toledo highway accidents end in the death of innocent men, women and children. While nothing can make up for the pain inflicted by a careless, reckless and negligent driver, compensation from a Toledo highway accident lawsuit can go a long way to helping you recover physically and financially from your ordeal. If you or someone you love has been injured in a highway accident, there is help available. The compassionate and aggressive highway accident lawyers at The Boerst Law Office are ready to be your voice during this difficult time in your life. It costs nothing to talk to one of our highway accident lawyers, and you’ll be under no obligation. Simply fill out or online form, or call (419) 283-6401 or 1(855)ToledoLaw to schedule your free initial consultation today!